Area 253 Glassblowing has a variety of festive, guided glassblowing experiences. Ranging from birthday parties, holiday office gatherings, to corporate team skill building workshops, we can help you with creating an event that you are not soon to forget. We offer many different workshops and have glassblowing events throughout the year. $50.00 Non Refundable Deposit required. Deposit applied to final billing at the completion of the party. Check our Hotshop Calendar to see what's coming up in the near future. Join Area 253 for a one day introduction to the glassblowing process. 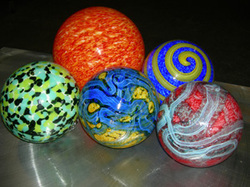 Participants will choose color/pattern and blow a float with the help of professional glassblowers. 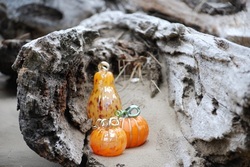 Try glassblowing while creating a glass pumpkin perfect for fall festivities. 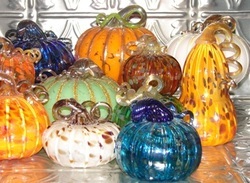 Work with professional glassblowers to pick the color and shape of your squash and assist in the making of it. Completed pumpkins will be available to pickup the following week. 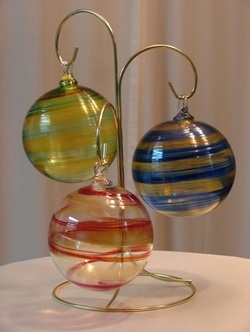 Throughout the year there will be various opportunities to work with glassblowing to make holiday specific items. It's a fun and interesting family or community event.